Usually we sell at the Sunday Market every...Sunday? But not today. We have a family function this afternoon, so took the day off. 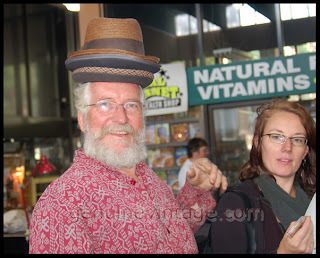 Instead, we went to the Sunday Market. Shopping. While I'd like to think that these are the crowds of paparazzi who follow me everywhere, they're not. 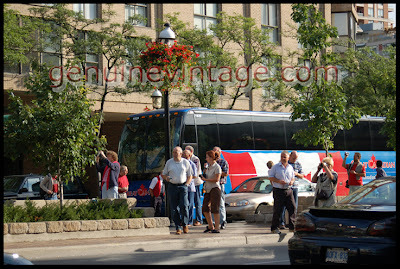 The tour bus drivers like to stop in front of the Market for a photo op. 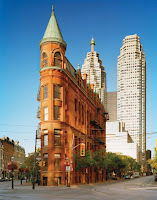 Not of us but of the Gooderham Building aka the Flat Iron. We do get some benefit out of it, though, some of these people actually come in and shop. 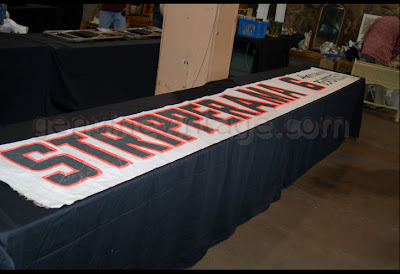 Yes folks, you too can pick up a little money after school with this great fifteen foot banner: STRIPPERAMA 6 American beauties. I would have bought it but I couldn't scrounge up fifteen feet of wall space at home. Also seen were the Courage My Love gang, with Stewart, once again, wearing many hats and Cece, once again, thinking perhaps it's time her dad went to the farm for while. 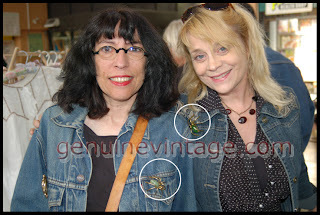 And how often do two dealers show up wearing the same jewelry? And what did I buy? 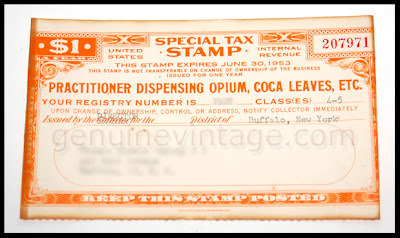 I bought a license to sell opium. Cool. Everyone should have one. Cost me more than a buck, though.